Second owner who has had it for nearly 30 years is selling. This boat is very clean, no accidents and hauled out for painting in August . The Tanzer is a solid and forgiving boat that would be great for anyone who is starting out sailing or a family who is looking for new adventures on the water. 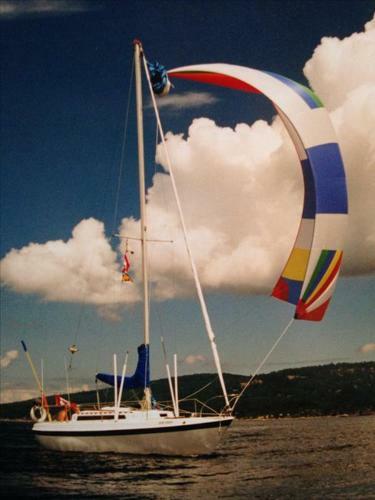 The boat is equipped with 13HP Yanmar Diesel (hrs) roller furling, a 150 jib and spinnaker. Boat comes with some safety equipment, depth sounder, VHF radio and BBQ. Sleeps 5 comfortably. Engine runs great. Open to offers - Must go ASAP. There is a recent survey available.